The director behind this true-life thriller chats about Tom Hanks, where to find the best Somali actors and why he needed to make this film. He sees the fast-moving dots on the radar and knows something is wrong. Stepping out onto the bow of the cargo ship, the captain lifts his binoculars and spots two approaching skiffs full of Somali pirates. Thanks to some quick thinking, this merchant marine and his crew manage to ward off the attackers. The next day, however, one of the boats comes after the American vessel again—and this time, Captain Richard Phillips and the crew of the Maersk Alabama aren’t so lucky. You could give this true story of a 2009 hijacking on the open waters to virtually any filmmaker, and he or she could deliver a fast-paced story filled with suspense, heroism and examples of the resilience of the human spirit in even the most trying of times. Put British director Paul Greengrass at the helm of a screen adaptation of this torn-from-the-headlines tale, however, and what you get is Captain Phillips—a you-are-there docudrama that has the relentless pacing of a thriller, the attention to detail of a procedural, and the ability to pull back and look at the big picture of what caused the incident in the first place. (You can throw in an emotionally resonant, effectively restrained performance from Tom Hanks for good measure.) As with his breakthrough movie, Bloody Sunday (2002), and the award-winning United 93 (2006), the director uses the re-creation of a real-life incident as a starting point for something much deeper than a disaster movie. TONY talked to the 58-year-old filmmaker last month, right after Captain Phillips opened the New York Film Festival. Time Out: Do you remember hearing about the Maersk Alabama incident in 2009? 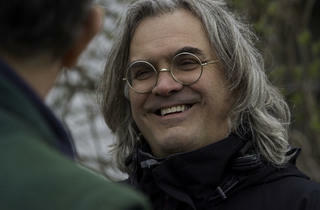 Paul Greengrass: Just vaguely. When I had the meeting with Sony and they asked me if I’d be interested in doing a movie about the Maersk Alabama, I think my initial reaction was, The what?!? [Laughs] In Britain, we’d had our own Somali pirate crises around the time, so I’d remembered those well enough—and very, very few of those had ended well. The ordeal Richard Phillips had gone through had stuck out in my mind, though, simply because this was a rare example of a hijacking situation that did turn out okay. When I had read Billy Ray’s screenplay, with all the twists and turns, I did feel that my unfamiliarity with the story actually helped me approach the material more like an audience member would. You know, what happens next? How does this go down?!? In a way, that was why I felt like I could make the movie: I knew how to tell the story without making it seem like I knew everything about it already. Time Out: But I’m guessing Sony approached you with the project because of how you approach real-life events as if they were just happening in front of you, right? There’s an immediacy to your films that suits these kinds of subjects, wouldn’t you say? Paul Greengrass: Sure…I mean, I’ve often wondered if I’m thought of in the industry as the guy who does nothing but true-life tales of tragedy. I try to choose projects very carefully, and obviously, the Bourne films aren’t based on real stories; even Green Zone, which comes from a nonfiction book, is a fictional story. But that said, am I drawn to these types of stories? Am I comfortable making movies in a very immediate, urgent way? Yeah, I am. I’m sure they had that in mind when I was offered the project. Ultimately, if you look at all my films from Bloody Sunday on, they’re steeped in a post-9/11 atmosphere. United 93 is directly about 9/11, of course, but every one of the movies deals with paranoia, mistrust and fear. I think Green Zone may be the real odd one out, in that it’s a movie that’s more interested in saying “J’accuse!” than anything else. I’m not sure that mind-set ultimately creates films of the highest order, though I am personally happy with that film; I did what I set out to do. But again, there’s something in the zeitgeist, a sense of uncertainty and how these things all feed into each other around the world, that I’m interested in exploring. In that sense, Captain Phillips is of a piece with everything else I’ve done. Time Out: So how did that go from two people trapped in the desert to being trapped in space? Paul Greengrass: I had always wanted to do a space film, so I told Jonas, let’s move things up. You know, very high up. We started with one single image: An astronaut, untethered from a ship and drifting into the void. The idea that this character is trapped in a bubble, and it takes something extreme to get her out of it. [Pause] This was all happening while I was going through a lot of adversity, creatively and otherwise, so the idea of a person being lost and having to go through a rebirth was a very attractive notion. Time Out: There seems to be a real sense of trying to combine journalism—these are the facts—with a notion of exploration—what do they mean?—in your films that involve re-creations of real events. Paul Greengrass: That’s the hope, at least. There was definitely a sense of discovery behind me signing on to do this movie. It’s a fairly simple event, when you look at it from a certain angle: Four young men attack a ship with 25 men on it, and end up on a lifeboat with a hostage, being trailed by the U.S. Navy. It’s outlandish, it’s dramatic and it’s intense, but ultimately, it’s a very basic story. But when I thought about it, I kept asking myself, Does this situation have a bigger meaning to it? Is this really about more than just four men and a container ship? I wanted to know the answer to that, so I had to make the film. Paul Greengrass: [Laughs] Yes, it is about more than that! To me, it’s still the story of a man trying to survive against incredible odds, and an exciting one at that. But it’s also about the effects of globalization. Both Richard Phillips and [the pirate] Muse are at the mercy of powers much greater than them, and are forced into this situation because of that. I’m not saying that what the Somali pirates did was right, but it’s part of a much larger picture than just a fisherman and a captain from Vermont. I could see there was something larger in Phillips’s tale, and that if I explored it fragment by fragment, I might be able see a bigger landscape while still making a mainstream thriller. It was a leap of faith. Time Out: Was Tom Hanks already involved with the project when you signed on?. Paul Greengrass: He was, yeah. That was another enticement, if I’m being honest. I’d always wanted to work with him. Time Out: It’s an interesting choice; cast someone like Matt Damon or Harrison Ford in that role, and it becomes an entirely different movie. Paul Greengrass: I agree completely. You sort of know those guys can handle themselves in a fight, whereas Tom is a brilliant actor of the everyday. Think about it: In a cinematic era dominated by invincible superheroes, he has built a career by portraying ordinary men. Even when he plays someone like the captain in Saving Private Ryan, he’s not a killing-machine military man; on the contrary, he’s a schoolteacher trying to be a soldier during wartime, and you feel for his character all the more because of that. He works wonders within those limitations, and his ability to wring humanity and empathy from playing regular guys is nothing short of miraculous to me. There’s a moment in the movie for me where…you remember the scene where Muse and the others first storm the boat? Time Out: Yes, of course. Paul Greengrass: So you’ve got these guys coming onto the boat, all this chaos is happening, the crew is scrambling down below—and then you cut to Tom, and he suddenly sells the character’s fear and resolve, as well as the enormity of this situation, to you without saying anything! He has a few lines—“Thirty degrees starboard” and whatnot—but really, it’s all in his facial expressions and his performance. This ordinary merchant-marine captain suddenly finds himself facing this huge existential crisis. And the way Tom shows you all this without some line of dialogue that would tell you everything…I mean, it’s astounding. It sets the pace for everything that follows. 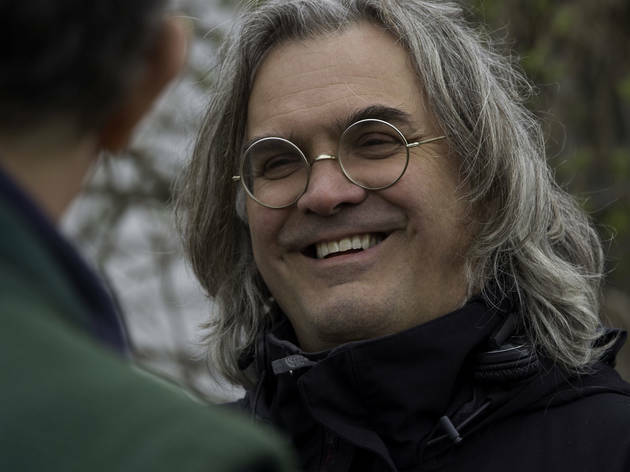 Paul Greengrass: I’m really, really looking forward to catching up with A Hijacking! I’ve purposefully avoided seeing it while I was developing this, for obvious reasons. But I love his work. Time Out: When we were talking, he mentioned that his film was originally going to switch between three perspectives: the hostage, the negotiator and the pirates. Time Out: But he said that every time he sat down to write the scenes involving the Somali pirates in their village, the pages always read like a 37-year-old Dane sitting in a nice apartment in Copenhagen and straining to imagine what a Somali pirate’s life might be like. He claimed he could never get to a point of authenticity with their perspective, so he eventually stuck with those two. Paul Greengrass: Yes, I sympathize with him. No one wanted to be Rudyard Kipling here. All of us were committed to portraying these characters as people, and not caricatures—which was why we were determined to cast real Somalis to play the Somali characters. We wanted these young men to bring a very real sense of cultural identity and strong Somali voice to these parts, and not just so I could avoid my personal version of Tobias’s nice Copenhagen apartment. [Laughs] There was a constant dialogue on set about how these characters would be portrayed, so that we did justice to who these four young men were. We wanted the Somali actors to be an active part of the process. Time Out: Where did you find the Somali actors? Paul Greengrass: We looked throughout Europe and the U.K.; in the U.S., we went to Columbus, Ohio, and Minneapolis—there are vibrant Somali communities, the latter in particular. There were open casting calls, and 800 people showed up to the first one. The quartet we ended up casting actually showed up as a foursome; they all knew each other and were friends. If you look at what they’ve been through…Barkhad Abdi, who plays Muse, his life was torn apart by the civil war and he finds himself living in Minneapolis as a 14-year-old. He not only adjusts to living in a diaspora, he becomes immersed in art and music and life in America. He talks about how he could have gone a very wrong way, but made a conscious decision not to go down a bad path. All of those actors had stories like that. Time Out: No one ever sentimentalizes the pirates, though. Paul Greengrass: It was never about “those poor pirates, they had to resort to this to make ends meet.” They made a choice. They’re still caught up in machinations that are beyond their control, but they picked up guns and boarded that ship. At the same time, you can’t ignore the environment they exist in and what the demands of that environment were. But Muse chooses to keep going. “I’ve come so far, I can’t go back.” Those four men have to live with their decision. Again, that was something we wanted to explore here. We did not want sketches of people. We wanted real people up there on that screen. Time Out: Can you talk a little about that scene with Tom Hanks and the sick bay near the end? I understand you guys came up with that on the fly. Paul Greengrass: We knew we needed a moment of emotional catharsis at the end. The sequence was originally set in the captain’s cabin, several hours after the SEALs had brought him back on board: He’s already been cleaned up, he’s getting a beer out of the fridge, he’s watching footage of his rescue on TV. We shot the scene for an entire day; we had a number of takes and it was okay. But after we’d finished, both of us felt something was missing. So I asked a naval officer: When Phillips was taken out of that lifeboat, where is the first place he would have gone? He told me, he’d go straight to the medical bay. It was half past 5pm and we couldn’t go late on the ships for a variety of reasons. But I figured, we have an hour and a half, let’s try it. So we got Tom all bloodied up again and found the medical officer who was on duty, we whip up this frenzy as everyone rushes to get stuff set up as quickly as possible. We are racing against the clock, they walk Tom into the room, the cameras are rolling—and the minute the medical officer sees him, she goes, “So, Captain Phillips, I…um…uh…” It suddenly dawns on her that she’s standing in front of Tom Hanks, and she totally freezes up. [Laughs] But just before she froze, there was something about the look on his face that I thought, Oh, there is something here. Tom could feel it too; you could tell he’d keyed into something authentic about this traumatized man, walking into an antiseptic room and finally being able to let go. We told the officer, “Forget this is the guy who played Forrest Gump—he’s just a person who’s been through a hostage situation, your job is to calm him down and check him out.” After that, we did two, maybe three takes, and we knew we’d found it. I mean, it just gave him this space to break down. Watch the humanity he brings to that moment when he just cracks, and you’ll see why Tom Hanks is a great actor. Not a good one, a great one. Captain Phillips opens Friday, October 11. Read our review here.